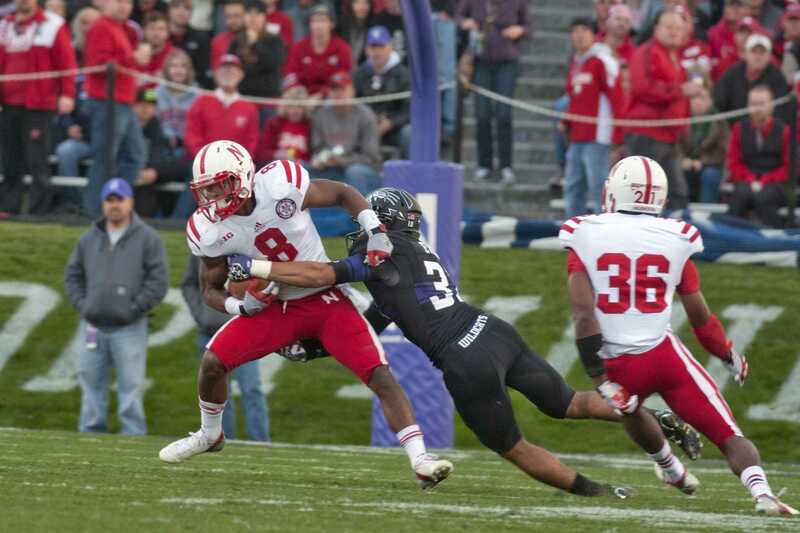 Northwestern cornerback Quinn Evans misses a tackle on Nebraska running back Ameer Abdullah. Abdullah finished with 101 yards on 19 carries. Northwestern’s loss to Nebraska was the movie remake nobody wanted. In shockingly similar fashion to their first loss of the season — as well as losses last year to Illinois, Michigan and Penn State — the Wildcats blew a substantial lead Saturday. 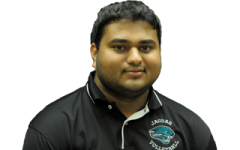 This time, they fumbled a 12-point cushion in the fourth quarter before falling 29-28 to the Cornhuskers. NU (6-2, 2-2 Big Ten) went ahead 21-10 in the third quarter after an 80-yard touchdown by junior running back Venric Mark and then 28-16 in the fourth after a 3-yard run by junior Mike Trumpy. The Cats failed several times to make the “one more play” needed to edge out the Cornhuskers. With a 12-point lead, the NU defense dropped two interceptions that would have given the ball to the offense in opponent territory. With just more than a minute left, junior kicker Jeff Budzien missed a 53-yard field goal wide right that would have put the Cats ahead. “When you have a chance for a turnover and you miss it, the football gods usually strike you with some lighting,” Fitzgerald said of the dropped interceptions. The Cornhuskers (5-2, 2-1 Big Ten) gave the Cats plenty of chances in the first half, turning the ball over three times. Nebraska punt returners muffed two kicks, both of which NU recovered. Sophomore safety Ibraheim Campbell also forced a fumble early in the second quarter. But the Cats only managed 7 points from all the miscues. After the first fumbled punt, NU took over at the Nebraska 14-yard line. Three plays later on third and six, sophomore quarterback Trevor Siemian threw a 10-yard touchdown pass. The highlights came few and far between for Siemian, who struggled in the passing game for the third straight week. After falling short at Penn State and completing 1-of-7 passes against Minnesota,Siemian completed only 15-of-35 attempts against Nebraska for 116 yards, an average of 3.3 yards per attempt. Siemian frequently missed receivers on high throws and threw a couple long passes short. The sophomore did connect with sophomore wide receiver Tony Jones for a 26-yard touchdown pass. Junior quarterback Kain Colter made a small cameo throwing the ball, completing 1-of-2 for 5 yards. Colter’s last pass came on the final play of the game with a desperate Hail Mary throw. Colter ran the ball 14 times for 43 yards and caught three passes for 17. The Cats out-punted their offense, gaining 301 yards rushing and passing, while junior punter Brandon Williams booted the ball for 466 yards on his 12 kicks. The offensive struggles came as a delight to the Nebraska contingent at Ryan Field. The Cornhuskers’ fans seemed to make up the majority of the crowd, and the noise played a factor in the home offense. The NU defense started strong before slowing down in the second half. The Cats allowed 19 points in the final half hour of the game, including 13 in the last six minutes of the fourth quarter. Nebraska quarterback Taylor Martinez shined in the air and on the ground, completing 27 of 39 passes for 342 yards and three touchdowns. He also ran 18 times for 65 yards and another touchdown. On the Cornhuskers’ go-ahead drive, Martinez connected on all five of his passes, also managing a short run. The back-breaking play came on a 25-yard throw over the middle to Jamal Turner, and Martinez tossed a 7-yard touchdown on the very next play. Even with all the defense issues, the Cats’ fate rested on Budzien. His only field goal attempt could have given NU a 31-29 lead with one minute and 10 seconds remaining. Fitzgerald called Budzien into the game on fourth and seven, as opposed to attempting a fourth-down conversion for a shorter kick. The Cats’ goal of winning their division fell out of their hands. The loss dropped NU into the bottom half of the Legends Division, with Iowa, Nebraska and Michigan making up the top three teams.